Introduction: In typical High School World History course, the teacher must teach thousands of years of human history in one year, thus making it the most comprehensive history course offered in school. Given the extended content requirements in a World History course, individual topics are given little time before the class must “move on” to the next topic. It should be of no surprise that teaching a unit about medieval Europe offers students little opportunity to engage with content, other than “name that Monarch” and a brief overview of feudalism. The “cover the content” approach to teaching World History requires students to be passive learners of the curriculum. For the unfortunate students involved in this type of learning environment, the World History experience is underwhelming and boring. Effectively teaching World History requires that teachers foster a learning environment that is challenging, interactive, engaging, meaningful, and relevant for the learner. Infusing a game activity into the curriculum offers a way to create a highly interactive and engaging learning environment while supporting meaningful content acquisition. 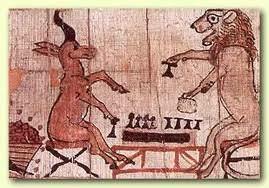 The purpose of this article is to help educators explore the strategy of using the game of chess in the World History classroom. More specifically, it provides educators with a classroom-tested lesson activity for teaching medieval European society content using the game of chess by providing background information on the history of chess, a rationale for including chess in the classroom, and step-by-step procedures to infuse this activity when the topic of feudalism is covered.